The former heavyweight champion's next fight has been confirmed, as he will face Tom Schwarz in Las Vegas on June 15. 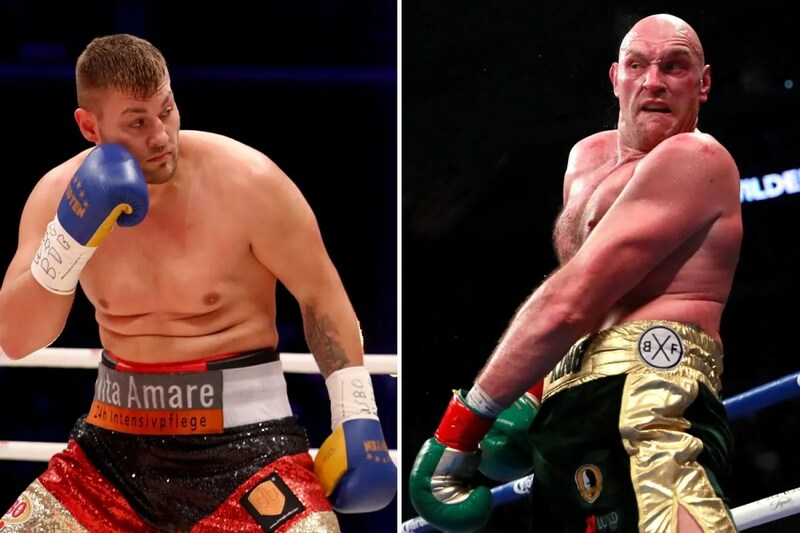 While the exposure bout was initially rumoured to come against Oscar Rivas, it is now being reported that Fury will instead be fighting unbeaten German contender Tom Schwarz. This will be Fury's first outing since his controversial draw with Deontay Wilder in December, a fight many felt Tyson won. The 6-5, 240-pound Schwarz (24-0, 16 KOs), 24, is an unknown opponent with no résumé to speak of. Fury outfought his rival for the vast majority of the fight, but was on the receiving end of the bout's only two knockdowns - including a 12th-round scare that very almost ended the fight. Fury's last contest in the U.S. drew plaudits for its drama, as he rose from the canvas in the 12th round to share a controversial draw with Wilder. Fury recently signed a lucrative broadcast deal with ESPN, which will see the network exclusively show the British heavyweight's fights in the United States. Asked if he understood the calls for a rematch with Wilder, Fury said: "Join the club". Joshua will fight Jarrell Miller in June and the big loser in all of this is Dillian Whyte who has missed out on a rematch with AJ and somehow a shot at Wilder's title. Wilder will face Dominic Breazeale on May 18 at the Barclays Center in Brooklyn, New York. We want Vegas next to give the fans something to travel to for an event this summer. Kenya Airways chairman Michael Joseph was quoted saying the airline would not cancel its order for Boeing 737 Max 8 jets. Having the fleet of Boeing 737 Max 8 could see the cash strapped carrier lose customers who are yet to trust the jet.